Topaz, Utah’s state gem, is a semiprecious gemstone that occurs as very hard, transparent crystals in a variety of colors. 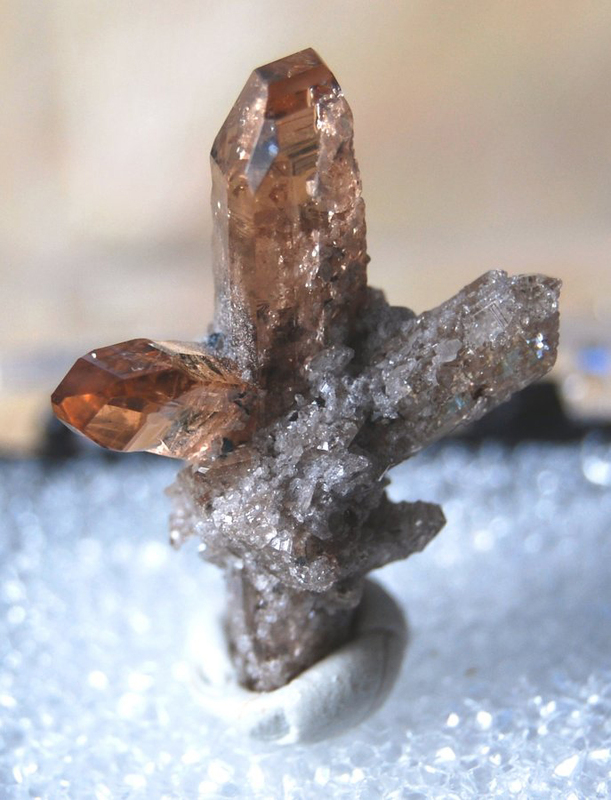 The topaz crystals at Topaz Mountain are naturally amber colored, but become colorless after exposure to sunlight. 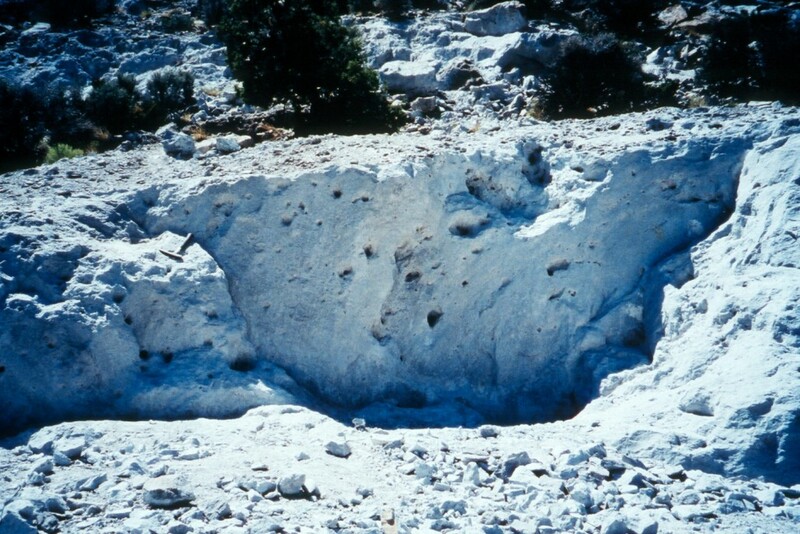 The crystals formed within cavities of the Topaz Mountain Rhyolite, a volcanic rock which erupted approximately six to seven million years ago (Tertiary Period) from volcanic vents along faults in the area. 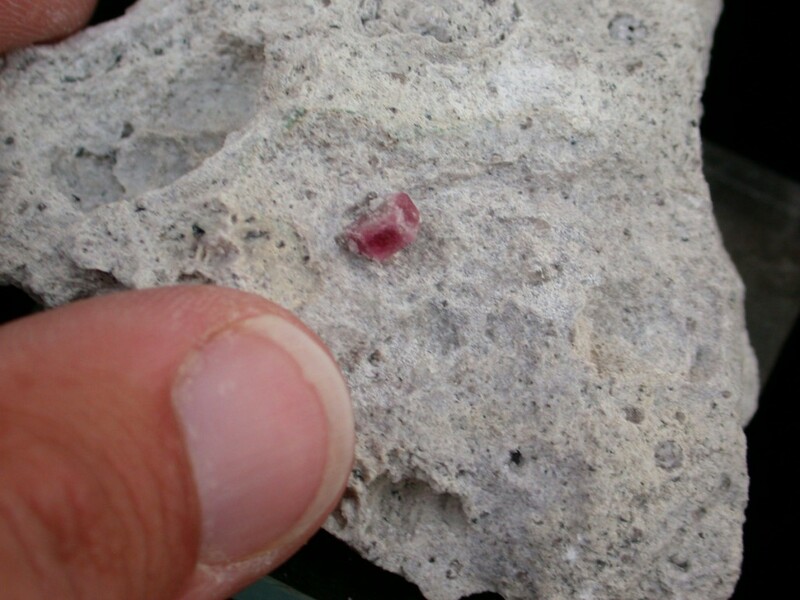 Other minerals that can be found at Topaz Mountain are red beryl, amethyst, garnet, pseudobrookite, bixbyite, opal, and hematite. Single colorless topaz crystals can be found in the washes around Topaz Mountain. 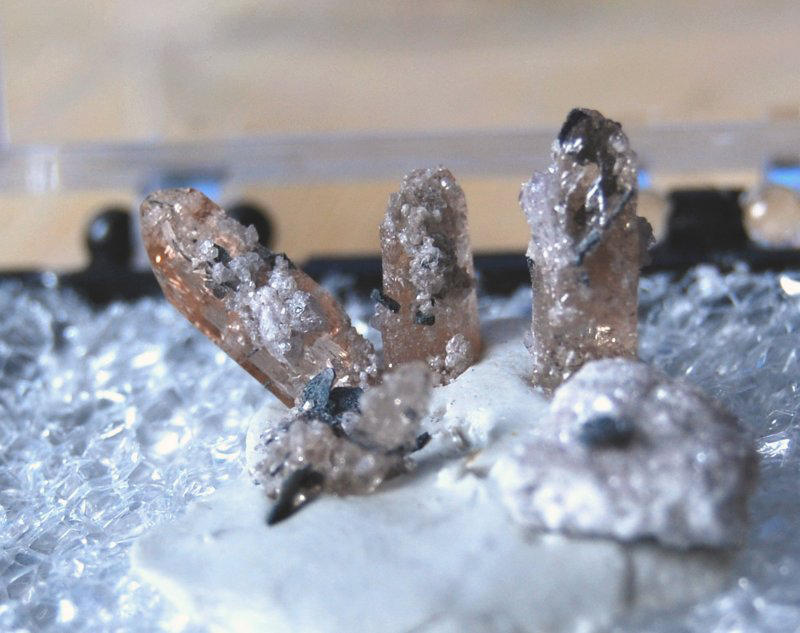 Crystals are usually less than an inch long. 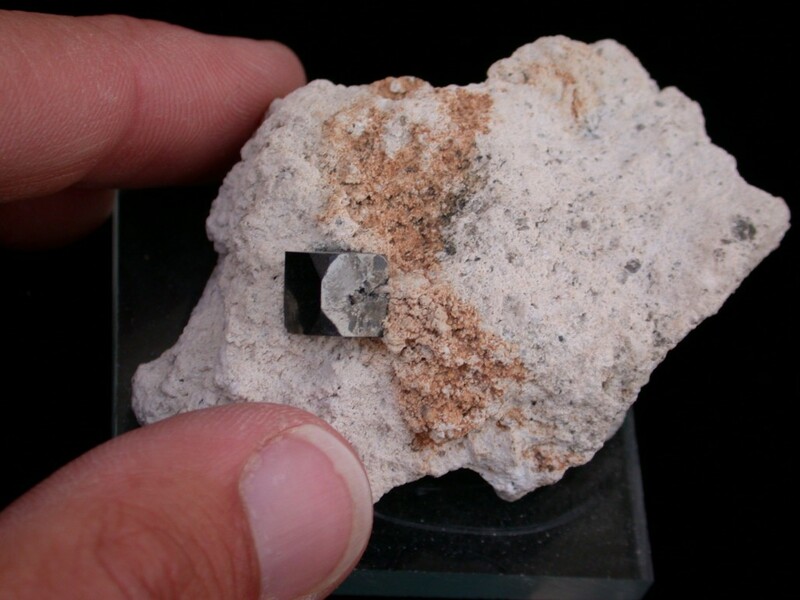 Larger amber crystals or clusters of topaz and other minerals can be found by breaking open the white rhyolite to find cavities. From Nephi, Utah, travel 33 miles southwest on State Highway 132 to Lynndyl. Turn south on U.S. Highway 6 and drive for approximately 5 miles. Turn west on the Brush Wellman road and travel 38 miles until you reach the Topaz Mountain sign. 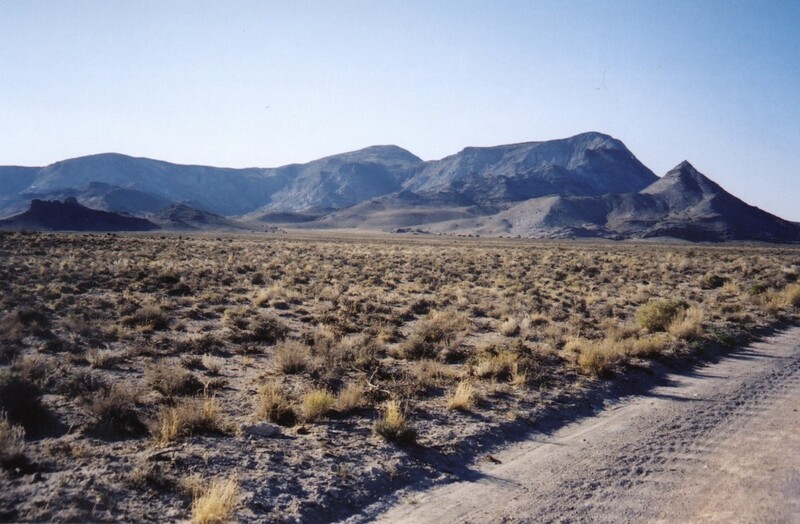 Turn north on the dirt road and drive about 2 miles, then turn west toward Topaz Mountain. Utah highway map, Lynndyl and Fish Springs 1:100,000-scale topographic maps, and Topaz Mountain East 7.5-minute topographic map. Topographic maps can be obtained from the Natural Resources Map & Bookstore, 1594 North Temple, Salt Lake City, UT 84114-6100, (801) 537-3320 or 1-888-UTAH MAP. BLM public lands, School Trust Land (state land) on section 16 of Township 13 S., Range 11 W., and possible gemstone leases. A four-wheel drive vehicle is recommended but not required for the last few miles of the journey. Do not collect on marked claims. Bring a rock hammer, chisels, and protective eyewear if you intend to break pieces of rock. A hat and water are recommended. Watch for rattlesnakes. Please carry out your trash. Good luck and have fun collecting!